In 1888-9, the Conservative administration of the Marquess of Salisbury was in power, and Lord George Hamilton was First Lord of the Admiralty. At that time, the demand for the two-power standard was first formulated, meaning thereby that England at all times must remain navally strong enough to bid defiance to her (at that time) strongest rivals, France and Russia, the Powers of the Dual Alliance. This demand, then only in the mouth of English naval experts, had now become a national shibboleth, and every cabinet since, no matter what its other creed, has practically lived up to this program. In 1889 there advened, under strong public pressure, the passage of the Naval Defense Act, which enabled the British Admiralty to begin the five years' program of shipbuilding, with the immediate construction of 10 large battleships, 42 cruisers, and 18 torpedo destroyers. "Our supremacy on the sea must, after all, be measured by the number of battleships we can put into line. It is further our duty, as we find other nations pushing forward this particular class of ship, to do the same. I have endeavoured during the past year to study the speeches of those who, in previous years, have held my position and that of Prime Minister, so as to ascertain the paramount idea underlying their utterances when they spoke of the standard of strength upon which our naval establishment should be maintained. "I think I am accurate in saying that our establishment should be on such a scale that it should at least be equal to the strength of any two other Countries. "I notice that the right honourable gentleman the member for Edinburgh (Mr. Childers) has given expression to that view, and has stated that he felt certain that when he left the Admiralty the British fleet was equal to the combined forces of any two other countries. That may be the case, but it must be borne in mind that at the time of which the right honourable gentleman speaks, there was only one considerable naval power in Europe, while the feature of the present situation is that there are now not one or two, but four or five nations which are spending largely on their naval armaments." In 1893-4, Mr. Gladstone was Prime Minister. 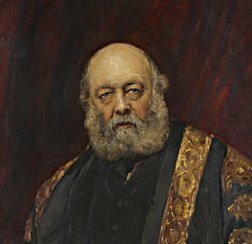 Mr. Gladstone's Ministry held that the reduction of expenditure upon defence was an act of moral virtue ; whereas Lord Salisbury's Government merely waited to be convinced of the necessity of increase, before doing their duty. Nevertheless, the Navy Estimates of March, 1894, provided for an expenditure of no less than 30-1/4 millions upon new construction spread over five years. The Spencer program, as it was called, not only provided the ships required, but included a scheme for manning them. It included a comprehensive program of naval works in which, for the first time in history, the defence of the Empire was treated as a whole. By this time the Continent was divided between the the Dual Alliance [formed in secret negotiations from 1891 to 1894] of the French Republic and Imperial Russia, and the opposing Triple Alliance [formed in the spring of 1883] of Imperial Germany, the Austro-Hungarian Empire, and the Kingdom of Italy. The enormous naval armaments of England were at first not imitated at the same ratio by Britain's traditional enemies in the Dual Alliance, France and Russia. For while between 1881-1890 the dual powers had built 233,144 tons against England's 196,440, the last decennium, 1890-1900, showed England with 715,150 tons added to her naval strength, against her adversaries' but 495,611. The practical consequence was an enormous strengthening of England's sea power, a fact which received a very vivid illustration on the occasion of the Fashoda incident on Sept. 18, 1898. This marked the climax, at Fashoda (Kodok), Egyptian Sudan, of a series of territorial disputes in Africa between Great Britain and France. The disputes arose from the common desire of each country to link up its disparate colonial possessions in Africa. Great Britain's aim was to link Uganda to Egypt by building a railway from the Cape of Good Hope to Cairo. England's navy had not only attained the two-power standard, but considerably exceeded it. At that time, England was twice as strong navally as France, and more than thrice as strong as Russia, while she had at least quadrupled the strength of any of the minor sea powers, Germany and the United States included. Within the short time since, however, a change was wrought in the situation, a change which comprises above all a new grouping of naval powers. In 1898, Germany, the United States, and Russia decided simultaneously on radical naval measures, especially on increases so large and for such long periods in advance as to alter the complexion of the whole very materially. France followed two years later with a similar plan of increase. The Russian plan contemplated the construction of eight large battleships, ten small cruisers, and thirty torpedo destroyers, they costing altogether about $100,000,000. Russia's main motive in this increase was, however, less dictated by her always latent antagonism to England than by the maintenance of her paramount power in East Asiatic waters, and this more in antagonism to Japan than to England. That England, however, has regarded this as her own affair is attested by the recent Anglo-Japanese agreement. Every new vessel, and every available older one, has been sent by Russia since the outbreak of the Chinese troubles to East Asiatic seas, to the almost entire neglect of her former strong position in the Baltic, a fact at which Germany is justly inclined to congratulate herself, for that in the possible event of a war with Russia or France, or with both, practically increases Germany's naval powers in those waters, both for offensive and defensive purposes, tremendously. Russia's position in far Asia, on the other hand, was impregnable, since her naval strength there was far greater - counting in, of course, France's tready aid for this purpose - than that of Japan and that portion of the English fleet together which England could spare for the purpose, so far from the more important and pressing interestsnearer home. England cannot deceive herself about that. She could not, and would not if she could, jeopardize her very existence and her dearest home interests for the sake of a far-Asia adventure. In France, her naval law of 1900 provided for an increase by 1906 of five battleships, six iron-clad cruisers, twenty-five torpedo destroyers, and a large number of submarine torpedoes. Germany, on her part, went much further than the other powers, for she complemented her naval law of 1898 by another one passed two years after, and which enables her to build for a term of fourteen years, three battleships (or two battleships and one large iron-clad cruiser), as well as their concomitants of small cruisers, torpedoes, and harbor defense vessels, every year. Sir Edward Grey on the 27th of June 1904 at the Royal United Service Institution : "It is quite true that policy determines armaments, but armaments have also something to do with determining policy. We still have the Two-Power standard for the Navy - I think that is the official standard, that our Navy is to be equal to the Navy of any other two Powers. Yes, but the Two-Power standard does not mean what it did when it was first introduced. When we first heard of the Two-Power standard, we only contemplated two considerable navies, and therefore the Two-Power standard was almost equivalent to saying not only two Powers, but any probable combination against us. Now the number of considerable navies in the world is growing. There is Japan with a large Navy; Russia, who, even after this war is over, I presume, will not be content for long to be without a considerable Navy ; France has a considerable Navy ; Germany is sure to have an important Navy ; Italy has a considerable Navy ; and also the United States. There are six Powers alone. We cannot keep our Navy up to a Six-Power standard ; we cannot even keep it up to a Four- or Five-Power standard if there are four or five other Great Powers who are going to spend their money in building ships. It has come to this, therefore, that while we must keep up our Navy to make us safe against any probable combination against us, yet, at the same time, with the great increase in the navies of the world, it is, in my opinion, necessary for us as a nation to depart from our old policy of splendid isolation." Great changes in naval administration, on which serious differences of opinion prevail, were begun towards the end of 1904. of the grand total of 155 ships said to have been 'scrapped' or 'weeded out,' a very large number of these ships had not been regarded as effective for many years past ; many of them being employed simply on harbour services as hulks, receiving ships, &c. Only forty- three vessels out of the 155 were really removed from the Effective List of the Navy ; and out of these forty-three vessels, no fewer than thirty-six were small cruisers, sloops, and gunboats. 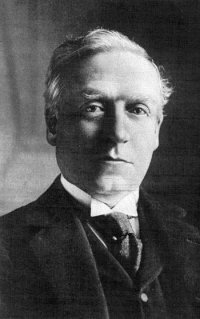 Frederick Archibald Vaughan Campbell, 3rd Earl Cawdor, was First Lord of the Admiralty for some months in 1905 under Arthur James Balfour, Conservative Prime Minister from 1902-5. Under him the "Dreadnought" and "Invincible," the first ships of a new class, were laid down. The policy of the Balfour Government was laid down in the Cawdor Memorandum of November 1905, which advised the annual construction of four battleships of the newly invented Dreadnought type. When Lord Cawdor's Statement of Policy was issued, it was generally (though wrongly) assumed that only two of the four ships would be battleships, and two "armored cruisers." And at that time the public had certainly no idea what the "Invincible" Fast Battle Cruiser type was like, with its 6 knots superiority of speed to everything afloat, and the biggest guns alive. In 1905, ships of the Imperial Japanese Combined Fleet, under the command of Fleet Admiral Heihachiro Togo, sailed from Sasebo to engage Russia's Baltic Fleet. Admiral Togo's victory during the Battle of Tsushima 27-28 May 1905 was a classic in naval history. The Russian Revolution of 1905 forced Tsar Nicholas II (1894-1917) to grant a constitution and introduce limited democratic reforms. The Russo-Japanese War relieved Germany from any danger on her eastern frontier, and thus upset the balance of power in Europe. In March 1905, Kaiser Wilhelm visited Tangiers in Morocco and gave a speech in which he promised to defend Morocco as 'free and independent ' and 'subject to no foreign control'. The French (fearful of another war with Germany) were going to back down, but the British [fearful of a German naval presence in Morroco] encouraged them to take a firm line. This First Moroccan Crisis of 1905 was finally adjusted by the Algeciras Conference in 1906. France, Britain, and Russia forced Germany to promise to stay out of Morocco. Germany felt humiliated. The Liberal and Radical press in England, taking up Prince Bullow's statement that Germany thought as little of challenging British maritime supremacy as of building a railway to the moon, began a strenuous campaign for a limitation of armaments. The movement reached its height when Sir Henry Campbell-Bannerman, the Liberal Prime Minister, published an article in the first issue of the Nation (London), a new Radical weekly, in which he invited Germany to discuss the whole problem; only to encounter an obstinate refusal from Prince Bullow. Under the "Cawdor Memorandum " of 30 November 1905 it had been laid down that the minimum British requirements would be four large armoured ships a year, and the "Dreadnought" with the three "Invinciblcs" fulfilled this condition, but in each of the two following years only three battleships (and no battle cruisers) were laid down, while the 1908-9 programme only provided for one battleship ("Neptune") and one armoured cruiser ("Indefatigable"). In July 1906 it was announced in Parliament that only three battleships would be included in the current program, the reason for the abandonment of the fourth ship being that there was a temporary cessation of warship building on the Continent caused by the advent of the "Dreadnought" and the "Invincibles." Coming in the first year of office of the new Liberal administration, however, the reduction in the British programme aroused genuine disquiet among certain people, and by others was utilised for a political attack on the Government, who were alleged to be jeopardising the security of the country. Sir Henry's sincerity, which Germans were not inclined to admit, cannot be doubted. His government had taken office pledged to a vast policy of social reform, which promised to be very costly. The Cawdor program was no more than an assurance that over the next five years new construction would average at four ships a year. So the Cawdor program had been abandoned, only 3 ships being laid down in 1906, and again in 1907; this after the German increase of March 1906. The British Government also earnestly strove to have the limitation of armaments discussed at the second Hague Conference, in 1907. But the German Emperor, who in August, 1906, expressed to Sir Charles Hardinge, then permanent undersecretary for foreign affairs, the opinion that the coming conference was "great nonsense," refused to be represented at it if the question of disarmament were to be brought forward. Balfour's party, before going out of power in 1905, had issued a "Statement of Policy," which declared that our position and the policy of foreign Powers necessitated the minimum output of four capital ships annually. Sir Henry Campbell-Bannerman's Government at once jettisoned this declaration, and provided only three ships in their first year of office. In the following year only two ships were laid down, and the third was held over in the hope of persuading Germany to reduce her programme. The third ship had to be provided later, but even then we only built six ships in two years—the same number as Germany. In 1908 England laid down two battleships only, and Germany increased her output to four. Of course "Little Navyism " failed. Germany was encouraged to increase her endeavors in the belief that England was exhausted and weakening in the race. The German public, in particular, were quite persuaded British naval supremacy would fall when challenged, and cheerfully bore the burdens imposed on them. The following year, 1907, found a new Premier at the helm. Naval matters aroused unusual interest and discussion in 1908, and it was asserted by many that Great Britain feared that the German fleet was to be used against her. Some English critics even went so far as to assert that Germany had a well matured plan of invasion ; that the invasion would come as a "bolt from the blue" in time of peace; that the German foreign office already had an official note to the Powers ready, defending the necessity of such an attack ; that the favorite toast of German naval officers afloat is "The Day." Numerous articles have been written, and speeches made, in England, on tue possibility of invasion. Criticisms of the building policy of the British Admiralty compelled the Prime Minister, Mr. Asquith, to define the "Two Power Standard" as: "A fleet of capital ships equal to a combination of the next two , most powerful foreign fleets, with an additional margin of 10 per cent, as a factor of safety." A certain school of critics insisted that Great Britain was falling below the two power standard. One well known writer refused to consider any ships but those of the Dreadnought type; and insisted tbet seven capital ships must be laid down immediately. Sir William White, for many years Director of British Naval Construction, showed very clearly, however, that these hysterical outbursts were without foundation; that England was much stronger than the two power standard; and that there was no danger of her losing this position in the next few years. Total expenditure from naval votes had been brought down from a maximum of £36,860,000 in 1904-05 to £31,419,000 in 1907-8. After four years of declining naval expenditure provided for in Navy Estimates, Parliament was asked in April 1908 to vote 900,000 more for the coming year than for its predecessor. The provision for new construction in 1908-9 exclusive of armaments amounts to £7,545,OOO, and was less than the corresponding provision made during any previous year in this century. In 1907-8 it was £ 8,100,000; in 1904-5 it exceeded £ll millions, largely in consequence of the purchase of two Chilian battleships ; the previous range since 1901-2 had been between these two years. This drop in new construction - coming immediately after the revision of the German naval program with its largely increased expenditure - naturally gave rise to considerable discussion. Mr. Asquith's declaration of the policy of the Government (in the debate of the 10th of March, 1908), confirmed by Lord Tweedmouth in the House of Lords in the following week, satisfied Parliament and reassured the country. Whatever Germany may do or attempt it is in Britain's power to exceed, as Mr. Asquith said "it is the duty [of the Government] to provide, and it would provide not only a sufficient number of ships but for such a date of laying down of such ships that . . . the superiority of Germany [in the Dreadnought and large armored cruiser classes of most recent design] would not oecome an actual fact." Efforts had been made to induce Germany to curtail her naval expansion — "a year's holiday in naval construction" being suggested — but such hopes as were based on this contingency gradually faded before the inexorable German determination to challenge British sea supremacy. In the 1909-10 estimates provision was therefore made for laying down four capital ships, two in July 1909 (" Colossus" and "Hercules") and two in Novwmbee ("Orion" and "Lion"), while four "contingent" ships ("Monarch", "Thunderer", "Conqueror" and "Princess Royal") were to be laid, down in April 1910, if the German menace showed no signs of abating. So far from this latter being the case, there was an acceleration in the dates of laying down the German ships, and thia program was therefore punctually carried out. The 1909-10 program, it will be seen, was a memorable one in the history of British naval construction, and its adoption enabled Great Britain to maintain her naval supremacy, which otherwise would have been jeopardized. Following a second crisis in Morocco in 1911, when the attitude of British statesmen forced Germany to abate her demands, the Reichstag at length passed a fifth bill which made it clearer than ever that Germany was aiming "to be supremely powerful both by sea and land." Two days after the new program was announced, Lord Haldane, a British statesman of decided German sympathies, arrived in Berlin to discuss the naval situation, but the result proved futile. From this time, however, the British Government ceased to maintain a two-Power standard, and it was definitely stated in Parliament that she would retard her building whenever Germany did the like. By 1912 it was held by the Liberal Party that the numerical calculation for the two-Power standard, which was correct when there were no fleets outside European waters to consider, had ceased to be applicable to present conditions. Fleets had developed in different countries remote from Europe which were held to give a different value to the two-Power standard. Though that standard was held by the Liberal Party to apply still to any two European Powers, a caveat was entered to the effect that Britain need only take into consideration the joint strength of any two Powers which are likely to combine. When Admiral Tirpitz, in February, 1913, agreed that the British ratio of 16 to 10 - which she had adopted in relation to Germany in place of the old two- Power standard - was " acceptable " to him, Mr. Churchill, the British First Lord of the Admiralty, proposed a "naval holiday" ; but Tirpitz refused this, on the ground that Germany could not afford to have her plants and her shipyards idle. Mr. Churchill's renewal of the offer, 18 October, was not favorably received by the public of either country. Even the friendly Lord Haldane went so far as to say that : "Whatever efforts Germany may make she must reckon upon our making efforts which will be still greater, because sea power is our life and in sea power we intend to remain supreme."